We are a team dedicated to developing a cryptocurrency (BBSCoin) designed for internet forums. 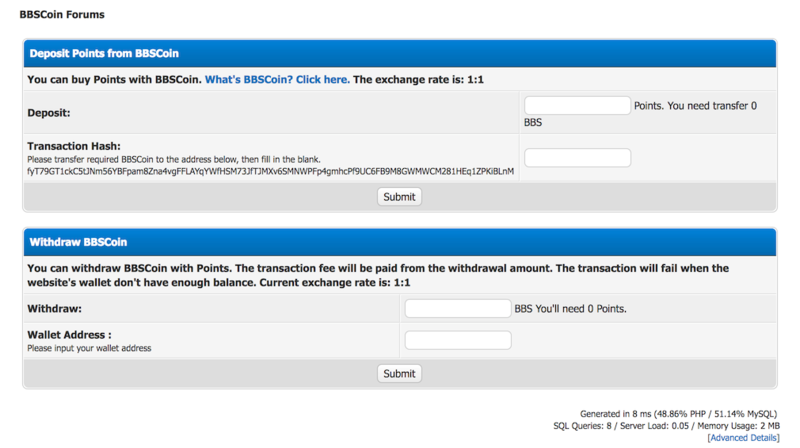 With this plugin, users can exchange BBSCoins with points. In the near future, users will be able to trade BBSCoin on cryptocurrency exchanges. Our plugin is based on Newpoints. You can integrate it with your favorite newpoints plugins.